It is no secret that professional golf can be extremely lucrative for its star players. Not only do the tour golfers make substantial income from the golf tournaments in which they do well, but they can also make exponentially more money from endorsement or royalty deals. As all sports, especially professional golf, gain international popularity, how income is allocated becomes increasingly important. If a professional golfer makes the majority of his money in the United States, but lives in a foreign country, how much of the income should be attributable to his activities here in the United States? Specifically, the Spanish born and aptly named “El Nino,” entered into an endorsement agreement with TaylorMade. Under the seven year agreement that commenced in 2002, TaylorMade received the rights to use the Swiss resident’s likeness, image, signature, voice, and any other symbol to promote its products. El Nino had to also exclusively wear and use TaylorMade golf products and “associated brands,” which were Adidas and Maxfli. Regardless of your personal beliefs TaylorMade apparently signed the young golf star because it believed he would add a “cool, athletic, and competitive” element to the TaylorMade brand, which would appeal to the “fun” side of young golfers. The tour pro had to wear the brand on and off the golf course, play in at least 20 professional golf events per year, and had to fulfill several other obligations of TaylorMade. Although the deal seemed one sided, it wasn’t all bad for El Nino. In 2003 through 2005 his base royalty fees from TaylorMade were $7 million. From 2005 on, his income was performance driven and would range from $3 million (if he finished ranked below 21st) to $9 million (if he finished ranked #1). In addition, he could earn bonuses depending on the events he won in a given year. For the golf fans out there, there was also an apparent disagreement between the then rising star and TaylorMade that led to several contract amendments because the golf pro refused to use the MaxFli ball. 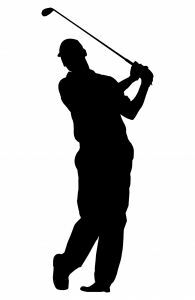 For those of you who could not name the golfer, it was Sergio Garcia and his case against the IRS was decided on March 14, 2013. See Sergio Garcia v. Commission, 140 T.C. No. 6 (March 14, 2013). If you are an avid sports fan, a wanna-be golfer, a nerdy tax/business person, or just have a general interest in the specifics of a professional athlete’s endorsement deal (I seem to fit in all 4 categories) the opinion is worth the read. The opinion goes into extreme detail to describe the deal between Garcia and TaylorMade. In summary, Garcia incorporated “Long Drive” in Switzerland and “Even Par” in Delaware in 2002-03. Even Par was owned 99.8% by Garcia and .2% by his father, Victoriano Garcia. Long Drive was owned 99.5% by Garcia and .5% by Gonzalo Rodriguez-Fraile, his financial advisor. As an aside, the fact that a “trusted advisor” has any ownership in a client’s business venture makes me raise an eyebrow, but who knows the relationship of the two parties. In any event, shortly after incorporation, Garcia sold Long Drive in return for a promissory note payable over 7 years and assigned the TaylorMade licensing rights to Even Par. Due to the structure of the transaction, Garcia’s royalty payments would be taxed at lower Swiss rates. Without getting into the intricate details of the case of the law, the case essentially centered on whether the payments from TaylorMade were for personal services or took the form of a royalty payment. If the payment was for personal services, then the United States received tax on the income, however, if the payments were royalties, then the income would be sourced to the lower tax rates imposed by the Swiss government. While both parties agreed that the payments were in part for personal services and partly for royalties, the allocation could not be agreed upon. Sergio seemed to believe that the terms of his agreement with TaylorMade should govern, and that the payments should be allocated 85% royalty and 15% personal service. Conversely the IRS thought the allocation should be more like 50/50. Despite being only 35% apart, the tax effect to the parties mattered significantly. In fact, in 2010 the IRS issued Garcia a notice of deficiency for $930,248 and $789,518 for 2003 and 2004 respectively. In response, Garcia exercised his rights to challenge the notice by filing a petition in Tax Court. Perhaps the spirit of the beginning of golf season was on the mind of Tax Court, or perhaps the court was just trying to show its hip and cool side by showing its knowledge of a PGA Tour star. In either case, similar to my friends and me, the Tax Court seemed to take the most logical approach to resolve an important dispute on the weekend by turning an important real world issue into a sports debate. The opinion was unlike any opinion I have read in that the bulk of the work was dedicated to a First Take-like comparison of Retief Goosen and Sergio Garcia. (If anyone at ESPN reads this and is interested in a tax legal analyst, the answer is Yes). The Court found it necessary to compare this case to the similar case, Goosen v. Comm’n, 136 T.C. at 560, which stated the characterization of a fee for one’s likeness depends on the intent of the parties of the contract. The court’s decision to go “Stephen A” or “Skip Bayless” and dissect the comparison of major victories, tour wins, and popularity of the two golfers had some merits, but the ad-nauseum comparison that continued for pages and pages of the golfers’ careers seemed like overkill. On the flip side, if I was a Tax Court judge with this case before me, I may have also used the case as a platform to debate about sports, especially knowing no one could contradict me. In short, the court concluded that this case was different than Goosen (which held a 50/50 allocation was fair) because Retief’s deal was more performance based, which made the agreement more akin to payments for personal services. On the contrary, TaylorMade in Garcia was paying more for his image and likeness and less for his performance, so this agreement was more tilted towards royalty payments. Despite the contract stating the allocation was 85-15, the court seemed to keep coming back to the fact that TaylorMade made Garcia its sole “Global Icon” and the centerpiece of TaylorMade’s marketing efforts. Goosen’s agreement was very different because it was more performance based in contrast to Garcia’s “charisma and playing style” based deal. The Court went through a multiple page analysis that read similar to an episode of First Take, comparing Goosen and Garcia. Maybe the decision was logical, or maybe the Tax Court was a huge Sergio fan. In any case, it ultimately ruled that 65% was attributable to royalties and 35% was for personal services. As such, 35% of the TaylorMade revenue was sourced to the United State as personal service income subject to income tax. In sum, the case offers little guidance to taxpayers who are faced with a similar situation. While the terms of the agreement seem to play a role, it seems advisable for the savvy tax planner to lace the contract with language about how the contract is not for the likeness or image of the player, but rather for his personal skills as a golfer. For the tax advocates that are confined to an already drafted agreement, the issue seems worth fighting for with taxpayers because the court is evidently willing to entertain a facts and circumstance analysis on a case by case basis. For the non tax planner/non tax advocate, the case is interesting as a sports fan, and open for debate on its comparison of Goosen and Garcia. About the author: Mr. Donnini is a multi-state sales and use tax attorney and an associate in the law firm Moffa, Gainor, & Sutton, PA, based in Fort Lauderdale, Florida. Mr. Donnini’s primary practice is multi-state sales and use tax as well as state corporate income tax controversy. Mr. Donnini also practices in the areas of federal tax controversy, federal estate planning, Florida probate, and all other state taxes including communication service tax, cigarette & tobacco tax, motor fuel tax, and Native American taxation. Mr. Donnini is currently pursuing his LL.M. in Taxation at NYU. If you have any questions please do not hesitate to contact him via email or phone listed on this page. Tagged: "Income Tax", "Tax in Sports" and "Tax Planning"